Many cavistes in Paris routinely organize tastings with vignerons in their wine shop. Tipped by their newsletter you can go taste (for free or for a fee) the wines of some of the best vignerons and listen them speak about their wines and their work, and this, without setting a foot outside Paris. 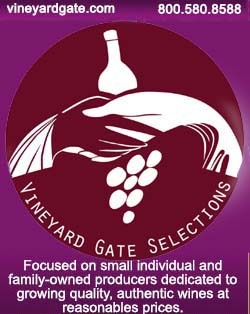 Many of the ones listed on my cavistes page do that, these caviste tastings take place typically on certain days of the week, like saturdays or thursdays for example, sometimes once a month or twice a month, depends, but the winemakers selection is unmistakably great. This is the case with Christophe Guitard's La-Contre-Etiquette wine shop [pic on left : Christophe and his wife Tania]. Contre étiquette means back label, that's where important info on the wine and on the vigneron's work philosophy are displayed. The wine shop has started to host regular tastings, sometimes with a fee, and this story is about one of them. I know Chistophe [pic on left with his wife Tania] from the early years of this Wineterroirs, even before this blog came alive, we met at Alain Segelle's CIDD wine school (which closed since) that I didn't attend personally but where I accompanied B. to enjoy special tasting evenings. Since then, Chistophe set up an online wine dealership and a wine shop (see link - the dealership was previously known under the name of Ochato), I waited too long before visiting his venue in the 10th arrondissement but this is the day. So, Chistophe and his associates now receive on a regular basis outstanding artisan vignerons in their small wine shop on rue Sainte Marthe and each time, the place is packed with passionate wine lovers, many of them 20 to 30 years old by the way (hints that some young French people are eager wine lovers). The first time I dropped there was when he received Sébastien David, a vigneron from Saint Nicolas de Bourgueil in the Loire, and I alas couldnt stay long, being busy with other important duties that evening. I still lament the terrific wines that I missed, there were about 9 or 10 wines to taste that evening if I remember... I still had time to see that more than a simple casual sip-opportunity, these tastings were events where the vigneron explained a lot about his work and the type of wine he wanted to make, and the visitors were very attentive and interactive. Alexandre Bain delivering cases at the wine shopThe secret behind the fact that these artisan vignerons come in person in town to lead tastings of their wines may be that they often deliver themselves their wines to the cavistes and restaurants in Paris and elsewhere. As they come to town at the wheel of their delivery van anyway, why not also meet wine lovers and speak with them ? I shot this picture just before the beginning of the real thing, Alexandre parked his van briefly in front of the door to unload a few cases of wines. The wine shop is located in the 10th arrondissement which is like the nearby 11th, 19th and 20th one of these up-and-coming right-bank areas, slowly gentrifying and still very affordable. These tastings at La Contre Etiquette begin usually at 7:30 pm and last at least two hours. The shop at 31 rue Sainthe Marthe has the patina of an old place, the street is narrow and short and the sign above the door reads "marchand de Vin". For the anecdote, the nearby Place Sainte Marthe is a nice spot to hang out on summer evenings, out of the beaten path and with a couple of relaxed terraces. So, the vigneron behind this thursday tasting was Alexandre Bain, who makes wine in the Pouilly Fumé Appellation, in the eastern Loire. Alexandre & Christophe in front of the Crottins de ChavignolThat's not a rule but Christophe said that they will try as much as possible to associate a cheese- or a charcuterie maker of the region where the wine is produced, so that the artisan can show his products to potential customers in Paris. And tasting wines with goat cheese added another level of pleasure to this tasting. Chistophe says that these raw-milk cheeses have a life of their own and their taste evolve in time, a little like natural wines, and he adds that affinage is a science comparable to winemaking.The cheese here is Crottin de Chavignol and it is produced not far from where Alexandre Bain makes his Pouilly-Fumé wines. The cheese come from his uncle & aunt's farm, they have 200 alpine goats and make AOC (AOP now) Crottin de Chavignol. The goats eat only the products of the farm including their hay. Surprisingly, the AOC (AOP) rules for the Crottin de Chavignol allows to feed the goats with for example mass-produced dry-lucerne from the Champagne region [which industrial goat-cheese farm do]. That reminds me the AOC rules for wine which actually allow most additives tricks... Nicolas, Alexandre's cousin was there this evening and explained a few things about the cheese making and the farm. Oddly, he also said a few words about some darker Crottins de Chavignol that he brought along (in the background on left) : they are pot-aged (jarre) cheeses that were stored for the affinage in a clay pot for several months. If you listen to the tape, you'll hear Nicolas explaining the importance to keep the ancestral way of doing these aged-in-pot cheeses and perpetuate the legacy. I didn't say a word but you can understand if you read my previous post that it made me feel good... Filling the glassesTime to begin the evening, people have arrived and filled the room. Before tasting the wines, we'll listen to the vigneron speaking about his vineyards and work. the wine lovers in the room are very attentive and they don't seem too impatient to taste the real thing. Chistophe Guitard begins to present his guest after saying a few words about the fabulous tasting the previous thursday with Sébastien David. He jokes that they had 10 cuvées to taste that day even though there are only two cuvées available on the market today...He says that these vignerons have typically a small surface and that the wines are quickly sold out. Alexandre Bain, he says, is an artisan vigneron in the Pouilly Fumé who will explain more about his wines and why they are very different from the mainstream wines found in the region. Alexandre now speaks about his job : he set up shop in 2007, very recently, on 7 hectares of vineyards that he converted to the organic farming when from the start. His goal was to make natural wines and biodynamic farming was obvious for him in that regard. For him, he says, making natural wine is very important, and asked by Christophe, he says bluntly that he makes literally nothing on his wines, simple like that. Alexandre says jokingly that if people look for enology courses, it's not the right address. On the other hand, he knows quite a few important things on the vineyard management side and that's what he works the most on. He says that to make a natural wine it's central to work the vineyard with the organic and biodynamic principles because that's the only way to harvest grapes that are alive. Why should they be alive, that's because they must be balanced and they must host many important living organisms which will play a role in the cellar. He says that the organic rules only target the vineyard side but many things are let aside, especially the cellar part of the wine, and he considers that the organic, natural philosophy must go all the way to the end product, to the bottled wine. Alexandre Bain among the tastersWhat Alexandre Bain wants to make is wines that are authentic, are a pleasure to drink and have things to transmit (we say in French des choses à raconter) during the experience. It's like for people, he says, when he meets people who haven't any thing to say, let's go away and see someone else...When a wine has pleasure to offer, plus length and gourmandise, everything is fine and he likes that. He gives a few clues about what biodynamic farming means, the particular sprayings, the moon rythm to take into account for everything. Asked by Christophe about the features of his soil and terroir in this Pouilly-Fumé region where the only grape he grows is Sauvignon, and how these soil natures translate into the wines, he says that he has vineyards on Portlandian limestones and also on Kimmeridgian limestones. The Portlandian areas are very whitish, stony soils, very tough to work on and very shallow, like 50 centimters of stony soil then it's the rock table. The bright side of this type of soil is that it works like a water drain when it rains a lot. The other bright side of this Portlandian soil is that the thick stone density at the surface stores heat in summer and gives it back, which is good to further the maturity. Tour de bouteille Alexandre Bain gives more infos about how the roots behave in a stone-thick soil. The roots look for faults in the rock table in these Portlandian soils (they can see that when they open a trench). He says that on the Kimmeridgian soils, it's very different, the soil is very clayish, very cold, need more time to warm up in spring, with patience being important regarding the maturity of the grapes, then the wines from these plots also need more time to finish and adjust, but these wines have more depth also. Speaking of the variety, he says that Sauvignon is not the easiest variety to handle as far as he knows, especially with an organic farming, even if Chenin is considered more arduous on that regard. He plows every three years to force the roots deeper. He keeps grass and there is a very rich humus material on the surface on which the vine feeds. Christophe asks technical questions about the grape maturity, which is interesting I think because the maturity question is central to the desired perfect balance. You can listen to the recording (bottom of the page) if you understand French, the last minutes is just the happy noise made by people when they taste and chat, but I find it was nice to let it on the tape. Young Canadian winelovers (from Quebec) chatting with Alexandre BainAsked about how he adjusts the wine if such or such thing in the wine needs correction, he answers that he doesn't use any additives to adjust the wines, and they will thus reflect the year's particularities. He says jokingly that vignerons are like cooks that make their dishes once for the rest of the year, so he tries to do his best so that the wines are pleasant and authentic. He recognizes that he likes the big maturities, he likes wines that are more on the over-ripe side than the varietal/vegetal. And he adds that Sauvignon interacts perfectly in that regard, if you pick it too early it will yield aromas of cat pee and boxwood, while picked ripe it will give quince and cooked-fruit notes, which he prefers. He adds that in the past, farmers were making wines along other crops and the grapes were probably harvested late too, resulting in wines like the ones he likes to make. He thinks that the variety has to be in the back seat in the wine, you have to feel the terroir and the vintage. __Alexandre Bain Sauvignon 2009. Taken from the vat (not bottled yet). The wine is not finished, says Christophe so that the tasters are not surprised of the lactic, fermentary notes in the wine. The color of the wine is greenish, I find personally light menthol notes, acidulous candy too. Richness in the mouth. The Sauvignon was harvested october 1st. Alexandre says that 2009 was a bit complicated because they had three hailstorms on the vineyards, otherwise there was both nice weather and sun, except at the end which was very beautiful from september 2 : beautiful sun on daytime and cool (12°C) nights. He says that on the Menetou-Salon area the hailstorm was even worse, some estates were 95% afflicted (he adds that if people like Menetou Salon, buy now, there isn't going to be much of it...). Speaking of biodynamic farming, the Valériane concoctions are particularly adapted to heal the hailstorm damages on the grapes and the vines. __Alexandre Bain Pouilly-Fumé 2008 Mademoiselle M. (Sauvignon). This cuvée is more on the Kimmeridgian soils side, plus it is a No-added-SO2 wine (the other cuvée, the Pouilly-Fumé Domaine gets a bit of SO2 after the malo-ferm and before bottling). He considers that the Kimmeridgian soils make deeper wines and that these wines must be let free. The first thing you notice is the oxydative notes on the nose. Mineral feel in the mouth, plus gorgeous richness with freshness. That's good indeed if surprising when you're used to the usual cat-pee aroma of Sauvignon. In 2008, they had hailstorms too, but less than in 2009, they had lots of rain until the first week of august and from then on the wind from the east had a salutary influence, drying all the potential rot that could have been brewing on the grapes, and helping concentrate the grapes. The night temp was low also like 2 or 3°C which helped preserve the acidity levels. The 2008 wines have a beautiful acidity, he prefers this wine personally but adds that the 2009 is not yet finished so the comparison is a bit premature. In 2008 he used Silica to counter the cold at the end and to eat the photosynthesis (they harvested october 20). Speaking of SO2, he says that he is not an ayatollah of sulfur-free wines but he tries as much as possible to use only a minimum, or even not to use any. the AOP rules allow a maximum of 210 mg/liter total SO2, and the organic certifications just the same. For his own wines, his Cuvée Domaine (made on the Portlandian soils) has 38 mg/liter and the Cuvée Mademoiselle M has zero added SO2. He says that the SO2 may help the long keep of wines but he had a vertical tasting at his friend's winery (Hervé Villemade) with wines from 2007 to 1991 and these almost SO2-free wines make it easily. The cheese plate goes from taster to taster : Fromage sans soufre (sulfur-free cheese), jokes someone, corrected [by Nicolas, I think] as fromage sans conservateurs (preservative-free cheese), and well alive, non-pasteurized.... The 2008 wine costs 20,5 € at La Contre-Etiquette. Note that Alexandre Bain is currently having difficulty to get the agreement and has already presented a wine twice without getting it. He can do it a last third and if it fails, he will be obliged to make it without the Appellation. That's a matter to follow because many natural-wine makers face this situation one day or another, which is quite a shame when you taste the wines and see how hard they work on their vineyards. The new wine generation is already learningAs apéritif, sort of, we had an excellent white sparkling (méthode traditionelle) from Savoie by Domaine Belluard. It's made with Gringet, a rare variety of which only 20 hectares are grown in France, and Domaine Belluard has 12 hectares of it. Very fresh, very good. Costs 13,5 €. La Contre Etiquette31 rue Sainte Marthe75010 ParisMetro : Belleville - Colonel Fabien (line 2 / 11)phone 01 42 01 08 51upcoming tastings at the wine shopTwitter : http://twitter.com/contreetiquetteThis post is not sponsored and was not suggested by the wine-shop owners.